The easiest, tastiest, most convenient healthy recipes--ever! Each recipe includes nutritional information, which can help you take steps toward weight and health goals, and many dishes are vegetarian, gluten-free, and freezer-friendly--all called out with helpful icons. Gina's practical advice for eating well and 120 color photos round out this indispensable cookbook. 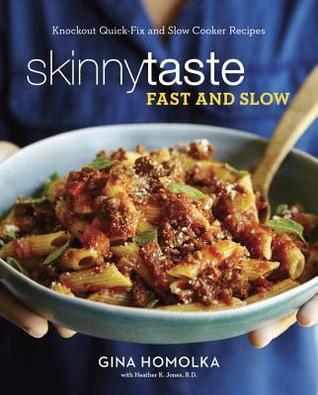 Hi, I'm Gina Homolka, author, photographer and recipe developer of Skinnytaste.com which features delicious, healthy, low fat, family-friendly recipes several times per week and Skinny Bits, where I answer cooking questions, health tips, reviews and giveaways.